Looking north on Thames Street from the corner of Pelham Street in Newport, in August 1906. Image courtesy of the Providence Public Library. 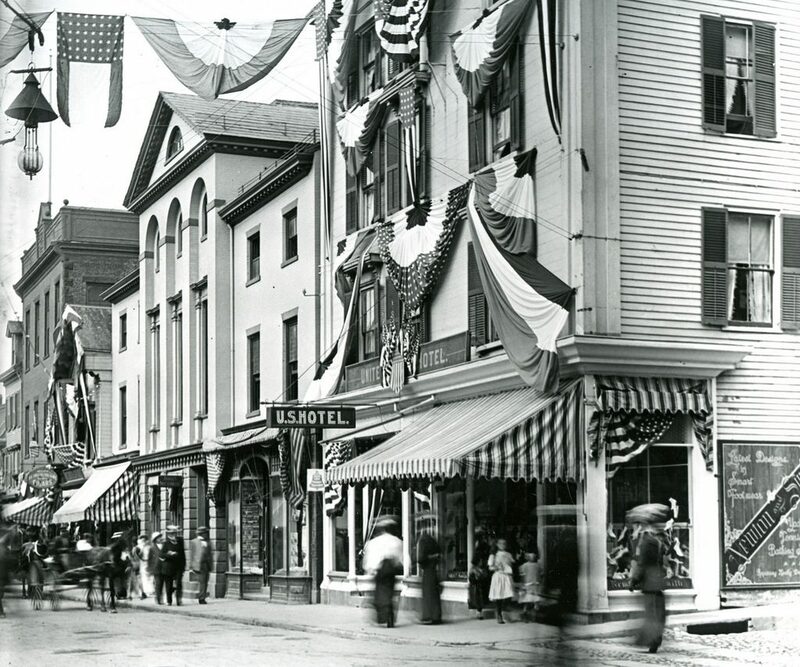 As with an earlier post, the first photo here shows Thames Street decorates in patriotic bunting for the Newport Carnival, which was held in August 1906. The building on the right side, at the corner of Pelham Street, was the United States Hotel, which had been one of the city’s finest hotels when it was built in 1836. 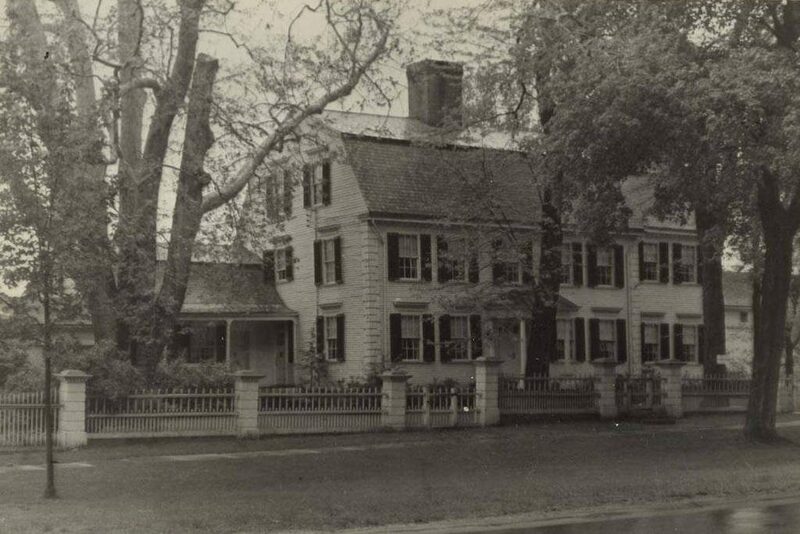 Originally owned by the Townsend family, the hotel had replaced the earlier Townsend’s Coffee House, which was built in 1785 and had been a popular gathering place for Newport’s leading citizens in the late 18th and early 19th centuries. The United States Hotel enjoyed similar success in the mid-19th century, and for many years it was the site of the state legislature’s “‘Lection Day” celebrations. 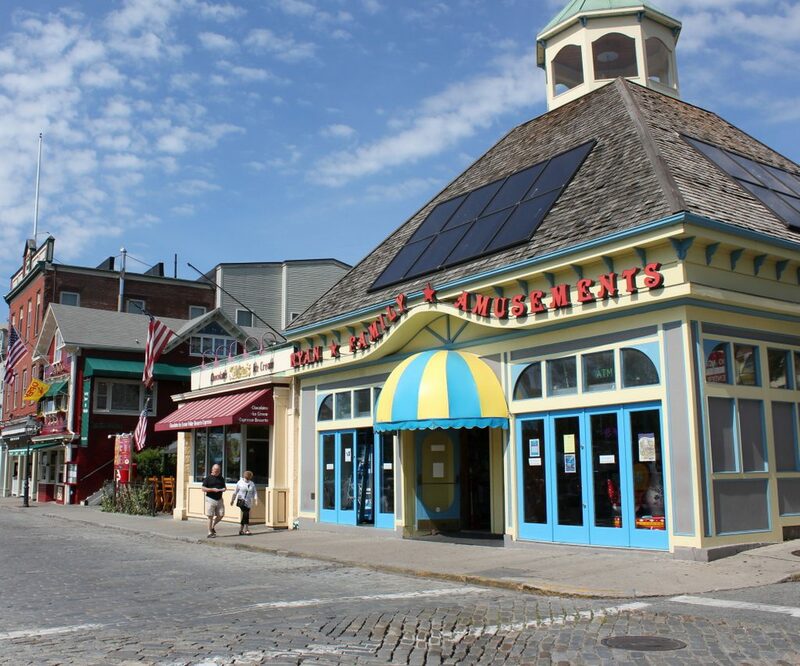 Held on the last Tuesday of May, this was the day when the results of the statewide April elections were announced and the winners were inaugurated, and the occasion was a major holiday here in Newport. Aside from the United States Hotel, the other historically-significant building in the first photo was the one just beyond it to the left. Built in 1817, this elegant Federal-style building was the home of the Rhode Island Union Bank, which later became the Union National Bank of Newport. 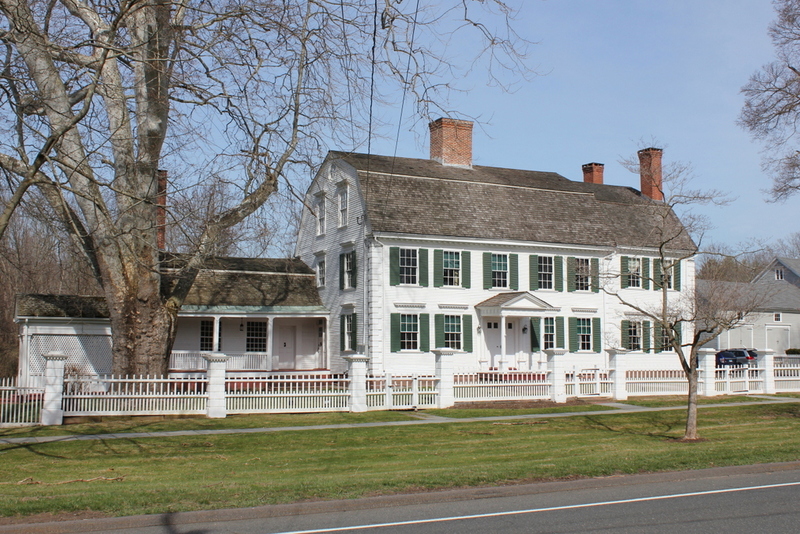 The building was designed by Asher Benjamin, a prominent and influential early 19th century architect whose works can be found across New England. However, despite his prolific career, and Newport’s reputation for outstanding architectural works, this bank was Benjamin’s only known commission in the city. Part of this may be due to the fact that the early 19th century was somewhat of a lull in Newport’s prosperity; the city’s shipping industry had never fully recovered after the American Revolution, and its renaissance as a wealthy resort community would not start for several more decades. Consequently, there was limited demand for new buildings, and little need for Asher Benjamin and other architects of his era. The Union National Bank was still located here when the first photo was taken, and the building was also the home of the People’s Library, which was located on the right side of the building. When the People’s Library – later renamed the Newport Public Library – was established in 1869, the concept of public libraries was still in its infancy in the United States. Members-only libraries, such as Newport’s own Redwood Library, had existed since the 18th century, but it was not until the mid-19th century that public libraries began to take hold, particularly here in the northeast. The library moved into the storefront on the right side in 1870, and would remain here for more than 40 years, until moving out in 1914. In the years after the first photo was taken, this scene underwent significant changes. The United States Hotel closed in 1918, and remained vacant for many years. Badly deteriorated, it was finally demolished in 1933, leaving only the first floor. This surviving section appears to still be standing, having been incorporated into the present-day commercial building, but all traces of the original hotel building are long gone. In the meantime, bank building to the left was demolished in the 1950s, but like its neighbor it appears part of the first floor survived, and still stands in the present-day scene. 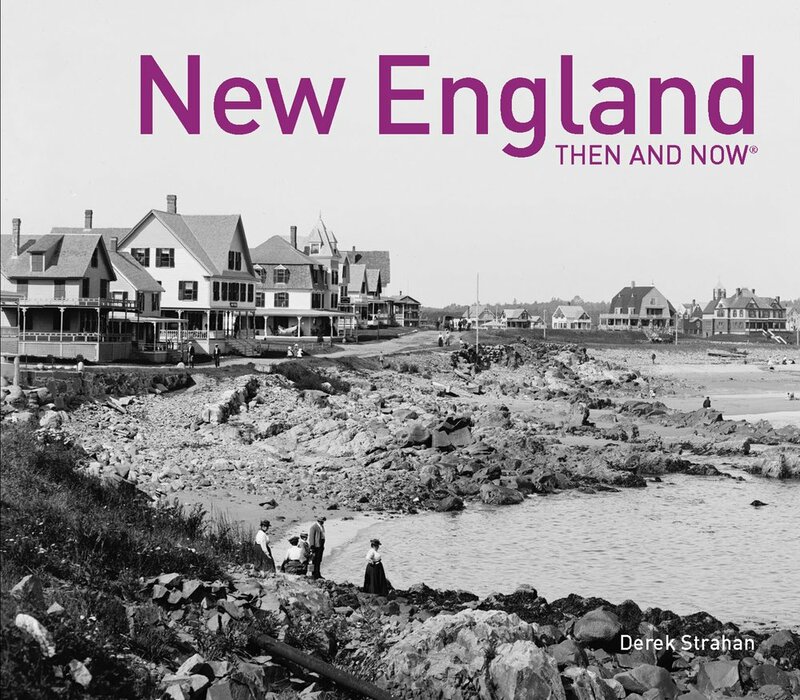 However, despite these dramatic changes in the foreground, the two buildings in the distance on the left have survived relatively unchanged, and today they form part of the Newport Historic District, which was designated as a National Historic Landmark in 1968. 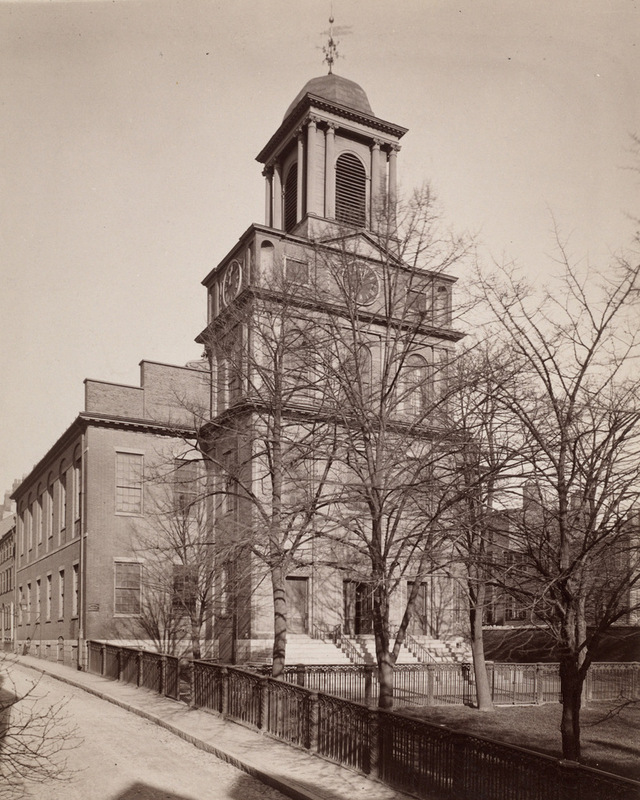 The Old West Church on Cambridge Street in Boston, probably in the late 1800s or early 1900s. Image courtesy of the Boston Public Library. 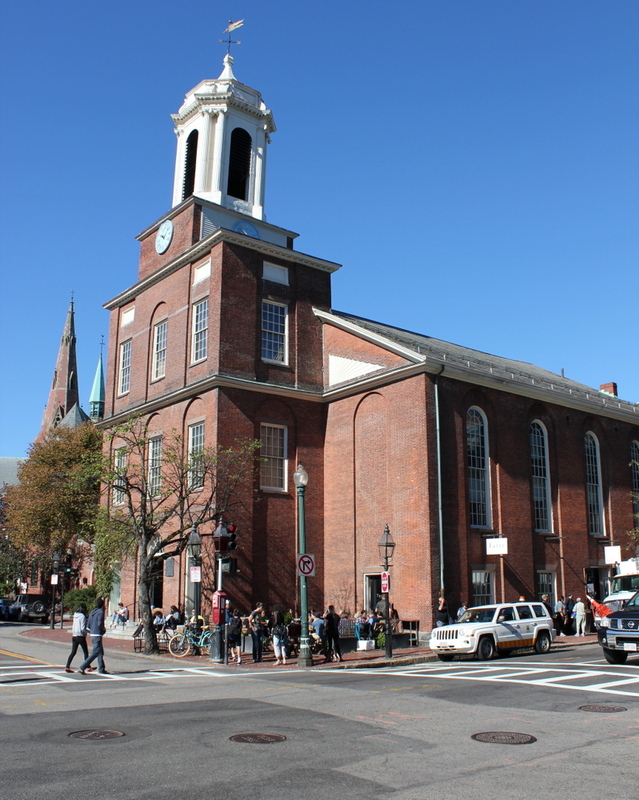 Old West Church was established in 1737, as one of Boston’s many Congregational churches. This particular building was built in 1806, and was designed by prominent early American architect Asher Benjamin. 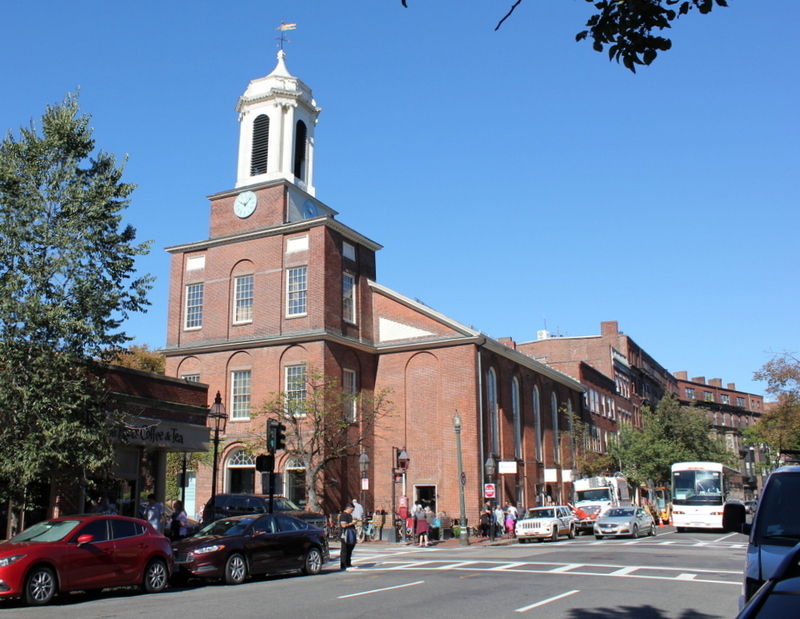 It is architecturally very similar to one of Benjamin’s earlier Boston churches, the Charles Street Meeting House, which is still standing on the opposite side of Beacon Hill from here. The church closed in 1892, but the historic building was saved from demolition and put to a new use as a branch library for the Boston Public Library. It was one of the few buildings to survive the urban renewal project of the 1950s that destroyed most of the West End, and after the library closed in 1960 it was purchased by the United Methodist Church. The interior was restored to its original appearance and reopened in 1964, and today it remains in use as a Methodist church. Looking north on Charles Street toward the Charles Street Meeting House in Boston, around 1889. Image courtesy of the Boston Public Library. As mentioned in the previous post, this historic church was built in 1807 as the Third Baptist Church. 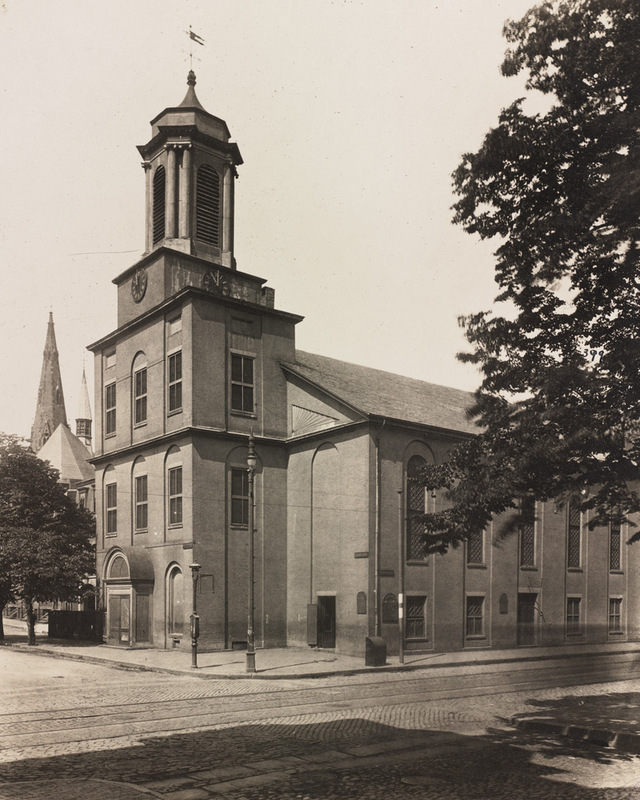 It played a major role in the abolitionist movement in Boston, and it was later the home to the Charles Street African Methodist Episcopal Church from 1876 until 1939. It was converted into offices in the early 1980s, but from the exterior it looks essentially the same as it did over 125 years ago. 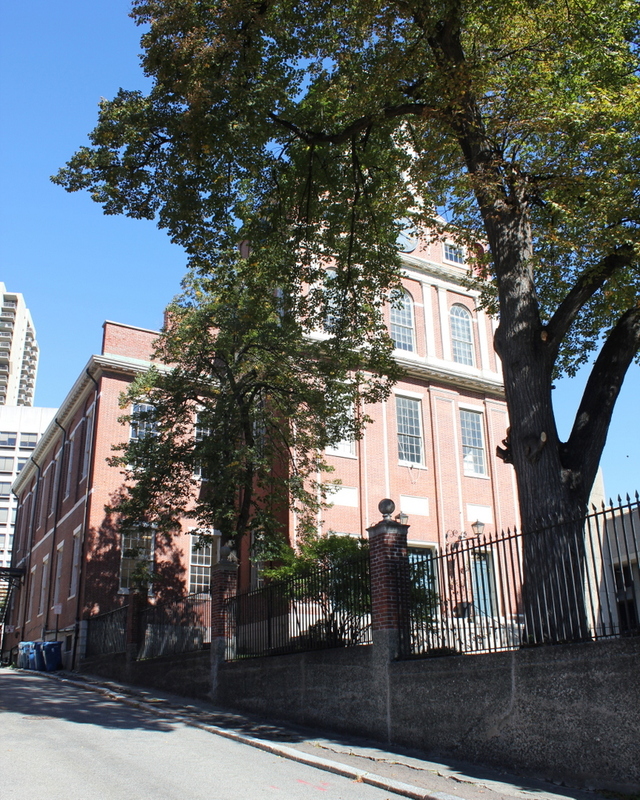 It is one of the 15 landmarks that comprises the Boston African American National Historic Site on Beacon Hill. The buildings beyond it on Charles Street haven’t changed much, either. They date back to the second half of the 19th century, and like so many other buildings in the Beacon Hill neighborhood, they have been well-preserved over the years. The Charles Street Meeting House, at the corner of Charles and Mt. Vernon Streets in Boston, around 1889. Image courtesy of the Boston Public Library. This historic church in the Beacon Hill neighborhood was built in 1807 as the Third Baptist Church. It was designed by Asher Benjamin, a New England native who was one of the leading American architects of the Federal era, and at the time it was located right along the waterfront. The building hasn’t moved in the past two centuries, but the shoreline has; Charles Street once ran along the Charles River at the western edge of the city, but after widespread landfill projects in the 19th century the church is now a considerable distance from the water. 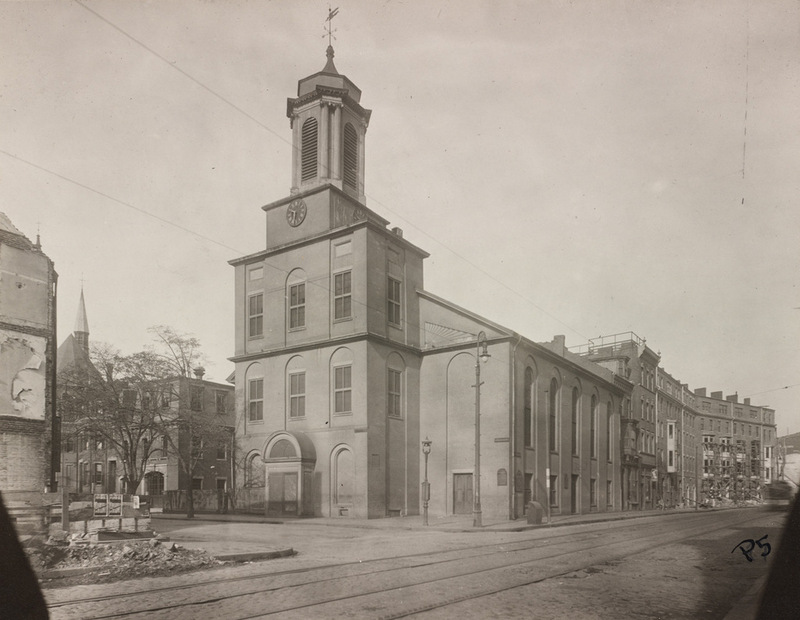 Prior to the Civil War, this church was prominent in Boston’s abolitionist movement, and it hosted speakers such as Frederick Douglass, Wendell Phillips, Charles Sumner, and Sojourner Truth. After the war, though, the congregation declined, and merged with the First Baptist Church by 1876. The building was sold to the First African Methodist Episcopal Church, and became the Charles Street A.M.E. Church. When the first photo was taken around 1889, the A.M.E. Church still owned it, and they remained here until 1939. 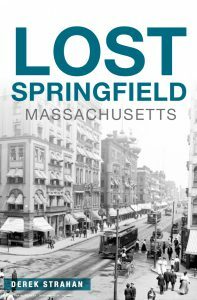 By then, Boston’s black population had shifted away from its historic roots in Beacon Hill, and the congregation relocated to Roxbury. The building was later used as an Albanian Orthodox church and later as a Unitarian Universalist church until the late 1970s. A few years later, it was converted into offices. The interior was completely renovated, but the exterior was preserved, and today it is a part of the National Park Service’s Boston African American National Historic Site.